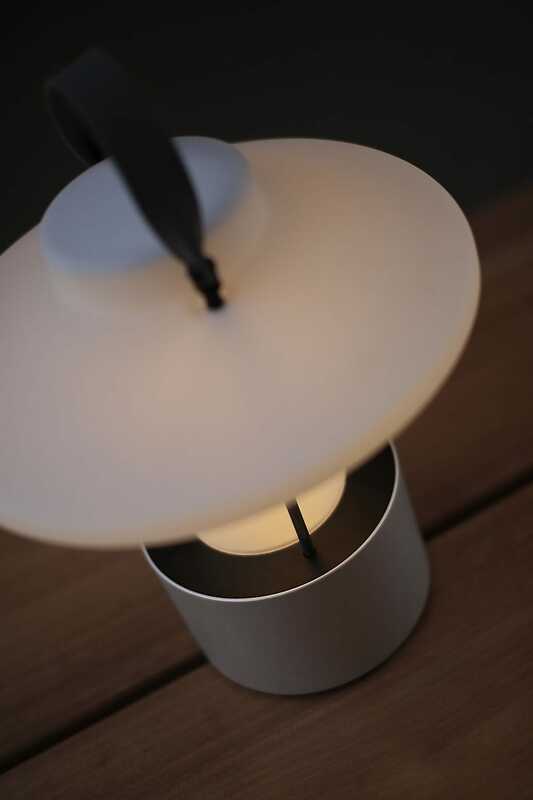 portable lamp / contemporary / stainless steel / Plexiglas® - CLARO! CLARO! 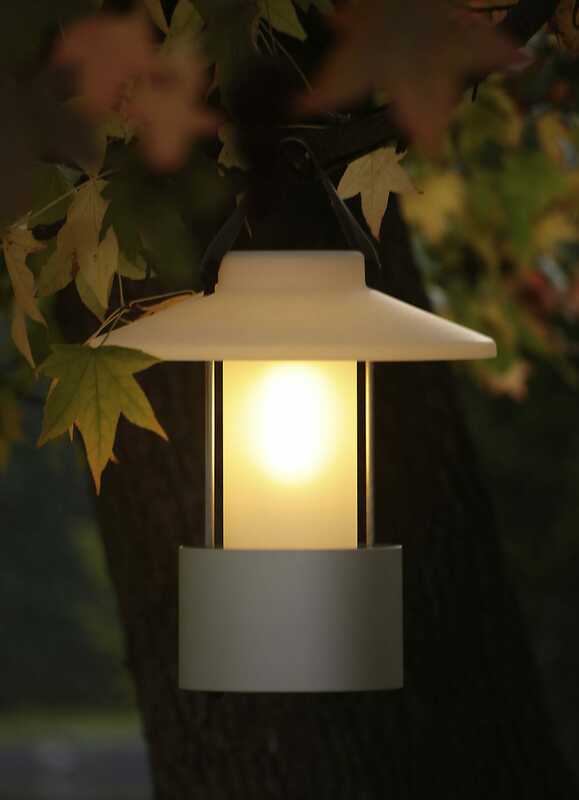 is Tradewinds second cordless storm lamp. Like Moon Soon it is made of waterproof and sunproof Plexiglass and aluminium. This lantern is designed with a big round shade in frosted acrylic to prevent the eyes from being dazzled while you are reading and writing on the darkest nights outdoors. The energy-saving CFL bulb runs off a 12Volt battery, whose weight adds sufficient stability to withstand even very strong winds. The easily rechargeable battery offers 10 hours of intense light autonomy. 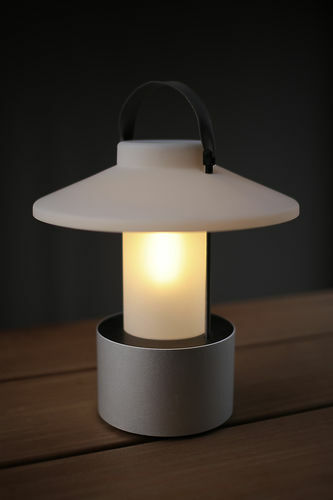 The charger is included in the set and can be easily connected to the two stainless steel rods of the lantern. CLARO! 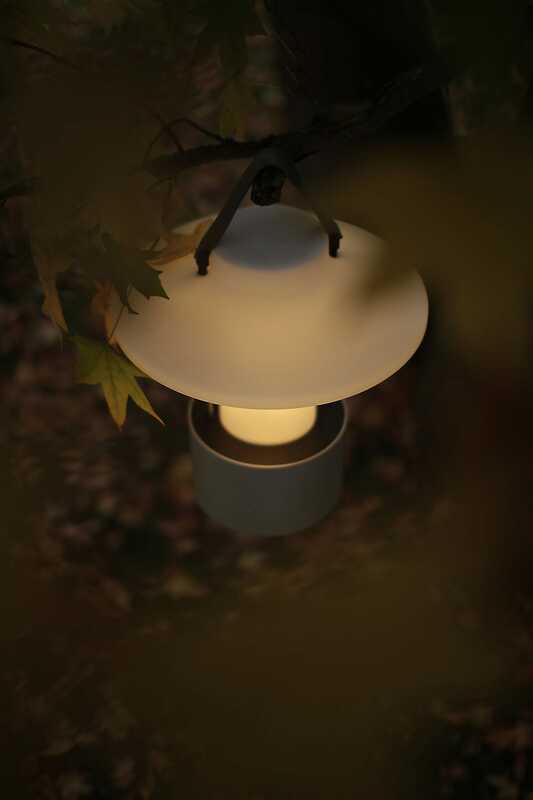 is ideal for outdoor use whatever the natural conditions may be. .
CLARO! will always glow for you.